Fort Lauderdale is a port of call for many cruise ships. A large number of worldly cruises begin in South Florida because of the warm weather year-round and because of the state’s vacation destinations. The Atlantic Ocean on the eastern side of Florida and the Gulf of Mexico on the western side make South Florida the perfect place to start a seaworthy vacation. Sadly, for many passengers, this dream trip can end in nightmare. Malfunctioning equipment, explosions, slips and falls, and other accidents can leave a passenger hospitalized and requiring numerous doctor visits. There are many things that make cruise liner accidents unique. The laws are complicated because many cruise ships are registered in foreign countries and the cruises take their passengers to other countries. Accidents that happen in waterways are governed by maritime law, not traditional accident law. Many of the victims themselves often are not Florida residents. At Yeboah Law Group, our Fort Lauderdale cruise ship accident attorneys understand these complexities. We have been helping injury victims for more than 20 years get the justice they deserve when injuries happen through the fault of others. Accidents at docks. If the cruise ship or tender ship doesn’t follow proper protocols, passengers can slip and fall, causing broken bones, bleeding, or head trauma. In the most tragic cases, a passenger can drown. Tender accident. Tender ships are basically intermediate transports that ferry the passengers between the cruise ship and the land stops so passengers can tour various countries and locations. In addition to docking problems, accidents can happen if the tender boats are overcrowded or if the operator speeds or operates the boat in a reckless manner. Defective equipment. Poorly designed equipment can cause an explosion, electrical failure, or other problems that can result in serious injuries, including first-, second-, or third-degree burns; broken bones; nerve damage; muscle injuries; and other debilitating injuries. On-ship accidents. Accidents can happen on the ship because the railings aren’t secure, the stairs aren’t even, the floors are slippery, or for a host of other reasons. These failings can cause people to fall, trip, or slip, or cause objects to fall on them. Land accidents. Most cruises use cars and buses to transport passengers during land excursions. Vehicle accidents that happen on cruise vacations involve many complex legal issues. Negligent security. Cruise lines have a responsibility to provide appropriate security to passengers while they are on the ship and also while they are taking part in the off-ship excursions. Whatever the reason for the accident, the Fort Lauderdale cruise ship accident lawyers at Yeboah Law Group have the experience to determine who is at fault and who should be held responsible. This includes taking statements from other passengers, reviewing ship maintenance records, examining the training of the ship officers and staff, and analyzing which legal entity really owns the ship. 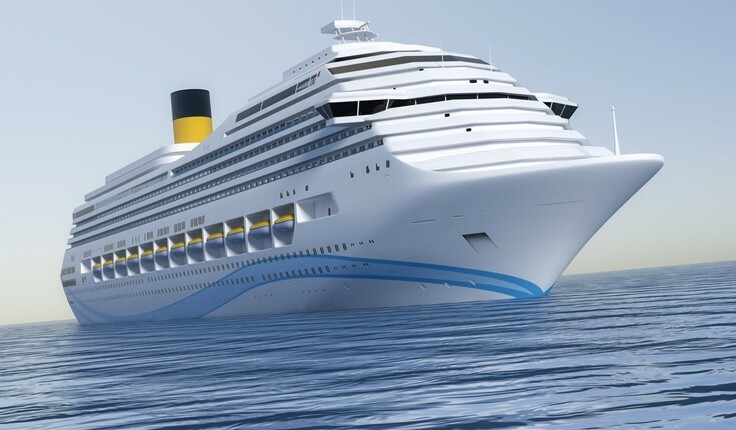 The time for bringing a legal claim may be shorter in cruise ship accident cases than land cases because maritime laws are unique, foreign laws may be involved, and the contract with the cruise ship may limit your remedies. It’s best to move quickly because the witnesses can be tougher to track down. At Yeboah Law Group, our Fort Lauderdale cruise ship accident attorneys understand when to bring claims and which court will hear the claim. We fight to get a full and just recovery for injured victims and the families of victims who drown or die. For help now, phone 1-800-TELL-SAM or use our contact form to schedule a free initial consultation. We take cases on a contingency fee basis.